This website will save you money on your phone calls to 1890, 1850 and 0818 numbers. Irish consumers are needlessly paying out up to €5 a time to call “low cost” telephone numbers like those beginning 1890 — even though they could get the calls for next to nothing. This is because many organisations and businesses are encouraging their customers to ring their LoCall 1890, or 1850 Callsave, or 0818 National Call telephone numbers at local call rates costing 4.9c a minute in the daytime and 1.26c off-peak. 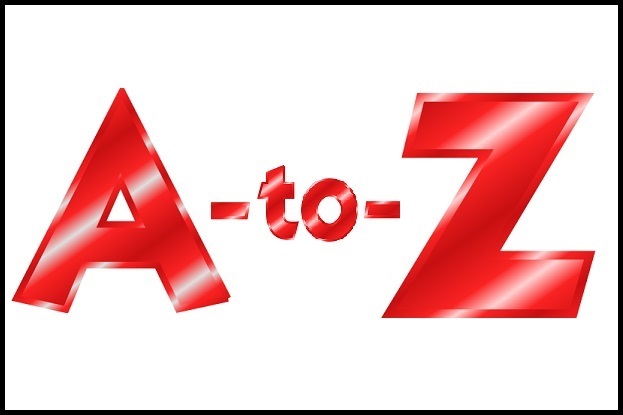 Click here for the A – Z listing. But popular mobile and landline phone deals with inclusive minutes exclude calls to LoCall 1890 numbers, Callsave 1850 and national 0818 calls from their minute bundles, hence representing an additional but unnecessary cost to the consumer. So, if you’re calling from a mobile and use a geographic alternative number instead of a 1890 / 1850 / 0818 number, you can save up to 40c per minute on your calls. So, save yourself money by using this website on your mobile phone, or on your pc. 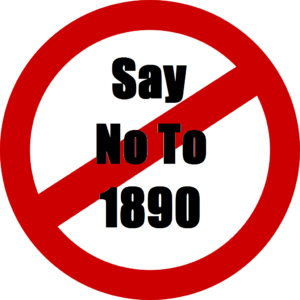 Say no to 1890 call costs, forget 185o call costs, and say bye bye to 0818 costs. And use this website to do all that, for free. There are on average nearly 1000 people per day using this website, saving money on phone calls. The more people that use the site, the greater chance there is that we’ll continue to get more and more alternative numbers provided. With that in mind, to try to encourage new users, and widen the appeal of the site even further, can I encourage you to post a tweet every time you use the site successfully and get an alternative number for an 1890, 1850, 0818 or 076 number? Just click on the Tweet button on the right hand side of the page, in the menu bar. This will bring you to a page, as shown below, which will allow you post a message directly from your Twitter account to your followers. (No access is required on the part of SayNoTo1890). I’d very much appreciate if you could share. Thank you. It was the NCTS (National Car Testing Service) that I was alerted to first who had made the decision to no longer provide 1890 contact numbers. The more organisations that do that, the less work I’ll have to spend keeping this website updated. I’ll keep track on this page here, and as it’s updated I’ll publicise to readers, whenever any other organisations do the same. If you’ve found any other organisations making this decision, please let me know and I’ll keep the listing below updated. This evening I have made updates to the website whereby upwards on 45 numbers have been updated. There are about 20 new numbers added, while 25 number updates / clarifications have been made. Please note that there are about another 50 updates pending, and once I confirm the numbers involved, I’ll get those numbers up on the site also. To everyone who has contacted the site providing updates, feedback, corrections and new geographic alternative numbers, many many thanks. 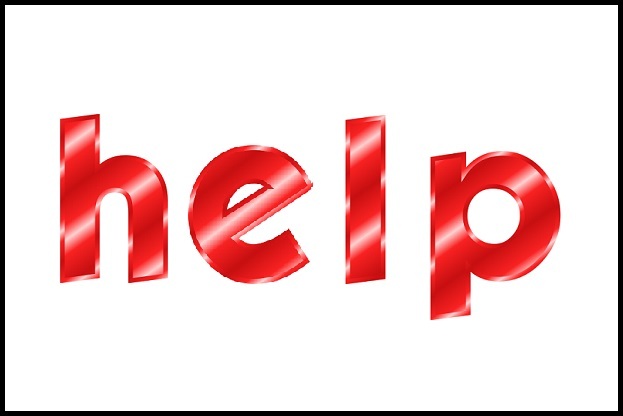 Without your help and assistance, the website wouldn’t be the great resource that it is. Please feel free to contact me any time if you have any suggestions for the website. Calls made to 1890, 1850, 0818 and 076 numbers from your mobile may be expensive, but they are not premium rate numbers. This blog post explains. Someone explain, where’s the gain? Do companies using 1890/1850 etc gain an income from the call? This was my response, explaining how these numbers came to cost as much as they do. It’s probably worth noting that technically, these numbers are not premium rate numbers. When original created years ago – prior to mobiles – using 1890 numbers as an example, the intention was to provide a low cost option for people to call national numbers, but at the cost of a local call. So, on your landline, if it cost 5p a minute to call your neighbour in Mayo, but 15p a minute to call a business in Dublin, then the LoCall option was introduced to allow you dial a 1890 number for a business in Dublin, and pay the local rate – so, 5p per minute. Effectively, the rule was, you charge for a call to an 1890 number the same as you would charge for a local call. The problem, with the introduction of mobile phones, is that the cost of a local call, and a national call, are the same – i.e. they’re now calls to landlines, and are costed, normally, at 15c to 35c per minute or more. However, in most cases, with minutes bundles as part of your mobile contract, no one really pays that amount to make calls as the minutes are deducted from your bundle. 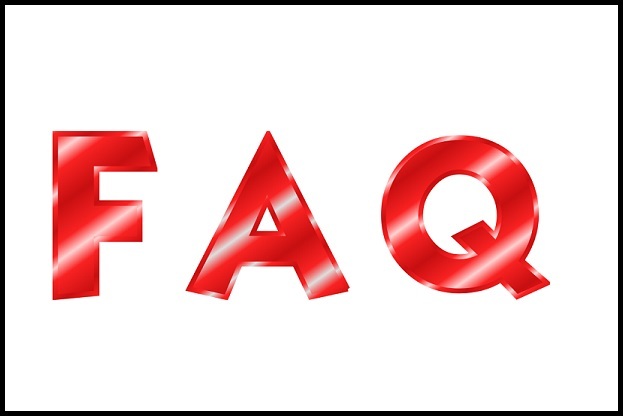 Firstly, those rates to call landlines then set the equivalency bar – so, a 35c per minute cost to call a landline on a mobile is then the benchmark for the 1890 call. In this case, mobile phone service providers are actually following the rules of “LoCall” numbers exactly to the letter of the law. Secondly, and more importantly, mobile phone service providers are NOT (mostly) deducting minutes on calls to 1890, 1850 or 0818 (and now 076 numbers as well) from your contracted minutes bundles. Therefore, every call to those numbers on your mobile will cost you directly. This, as you’ll be told by ComReg is a business decision by the mobile phone service providers. Or more relevantly, the provision of “free” minutes bundles is a business decision, so deciding what comes from it, or doesn’t, is also a business decision. And ComReg will tell you that they won’t interfere in business decisions of the mobile phone service providers. They won’t, but they could if they really wanted to, or if they were directed to by their government department, but such a direction isn’t ever likely. Hope that clarifies a bit more. Since February, I’ve been waiting for responses from 5 different government sponsored organisations to provide geographic alternative numbers for the 1890 and 076 numbers provided as contact information on their websites. In a recent blog post, Revenue Commissioners – 1890 Numbers, I commended that organisation and a couple of government departments on their provision of alternatives very clearly on their website. Unfortunately, not all government organisations that we fund will give us alternative numbers to allow us save money whenever we need to call them. The irony being that 2 of the organisations are supposed to assist people in financial difficulties already. If I ever do get any useful responses from any of the organisations above, I’ll let you know. Don’t hold your breath, though. Below are the responses received so far from the organisations contacted above. Well, 2 organisations actually responded (MABS and Citizens Information) and I only have 2 automated responses from SUSI. The RSA and PRTB didn’t respond to me at all. I guess it’ll be FOI requests for them now (my 2nd for PRTB seeking geographic alternative contact numbers). A user of this website very kindly drew my attention to a special “Lo-Call” page on the Revenue website (Low Cost Phone Numbers). Revenue provides low cost (‘LoCall’) phone numbers for some of our most popular services. The page, however, while somewhat useful in explaining the potential cost to people of calling these 1890 numbers from mobiles is of limited benefit in that while it lists the main 1890 numbers (18 of them), it only provides geographic alternatives for 10 of them. Of course, here on SayNoTo1890.com, there are actually alternatives for 17 out of the 18 numbers. And interestingly, they provide geographic alternatives for 4 out of 4 of the 1890 numbers listed on that main contact page. Similarly, this contact page from the Department of Jobs, Enterprise and Innovation provides the following text, and gives geographic alternatives for 3 out of 3 of the 1890 numbers listed. Interestingly, the Department of Communications, Energy and Natural Resources – the one government department that could have some influence over how 1850, 1890 and 0818 numbers are treated by mobile telecoms providers – has a contact page that doesn’t provide any 1890 numbers at all. It only provides geographic alternative numbers for all sections linked on that page. Help, please! Does your mobile provider block you calling 1800 numbers? As I mentioned previously in this February 2016 – noting all the Geographic Alternative Numbers Updated Across the SayNoTo1890.com website, I will be starting to provide geographic alternatives on the site from here on out for FreePhone 1800 numbers. Firstly, some companies who may provide 1800 numbers may indicate to their service providers that they don’t want to facilitate people calling on that number from mobile phones because of the additional cost incurred. Secondly, and of specific interest for this blog post, I’ve been told that certain mobile phone companies (potentially only on certain packages or contracts) are blocking their customers from calling 1800 numbers completely. So, are you on a mobile phone plan with any of the providers here in Ireland that is blocking you from calling 1800 numbers completely? If so, please let me know the company and the package you’re on – either in the comments below, or via the Contact Page here.